As Crows AFLW players run on to Adelaide Oval on Sunday for their preliminary final, it won’t be historic just because it’s the first game of elite-level women’s football to be played at the ground. The women will be playing on grass prepared with the help of Adelaide Oval’s first female groundsperson. 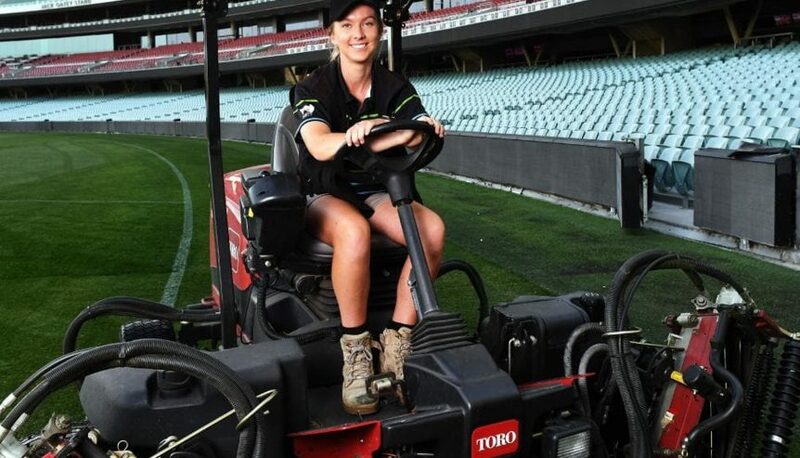 Brooke Francis, 19, started her full-time job on Monday as one of 11 grounds staff who work on Adelaide Oval after completing her apprenticeship, and has been working diligently this week to ensure the grass is perfect ahead of this weekend. Francis said she was pleased the AFL had made the decision to play the AFLW preliminary final between the Crows and Geelong at South Australia’s premier stadium on Sunday afternoon. “I love equality because being a female in a male-dominated career choice can be tough sometimes, so I think it’s fantastic they get the same opportunity as the guys, because why not?,” she said.